Safe and asbestos free. Holds your assembly during soldering, welding and firing. Place-It will not rob heat from joints, ensuring an excellent bond. Heat shield protects acrylic during soldering. Use to repair furnace parts and to create custom supports for laminate veneers. Use to 3200 F. No shrinkage on setting. Sets hard in any desired form or shape. Create custom sagger trays, pegs, furnace fixtures and custom refractory supports for porcelain. Instantly secure multiple unit bridgework for soldering and welding. 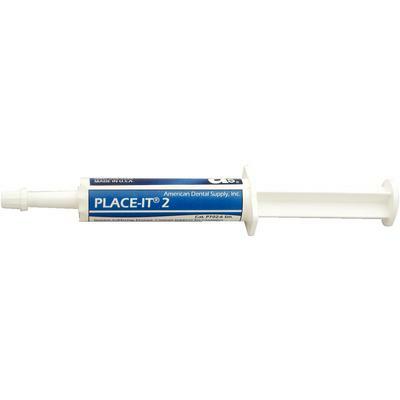 Apply easily to soldering board or coping interior with handy syringe. Hardens quickly.